A reduction in LDL cholesterol and an increase in HDL cholesterol levels are clinically relevant parameters for the treatment of dyslipidaemia, and exercise is often recommended as an intervention. 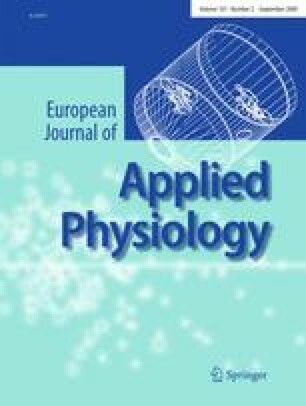 This study aimed to examine the effects of acute, high-intensity exercise (~90% VO2max) and varying carbohydrate levels (control, low and high) on the blood lipid profile. Six male subjects were distributed randomly into exercise groups, based on the carbohydrate diets (control, low and high) to which the subjects were restricted before each exercise session. The lipid profile (triglycerides, VLDL, HDL cholesterol, LDL cholesterol and total cholesterol) was determined at rest, and immediately and 1 h after exercise bouts. There were no changes in the time exhaustion (8.00 ± 1.83; 7.82 ± 2.66; and 9.09 ± 3.51 min) and energy expenditure (496.0 ± 224.8; 411.5 ± 223.1; and 592.1 ± 369.9 kJ) parameters with the three varying carbohydrate intake (control, low and high). Glucose and insulin levels did not show time-dependent changes under the different conditions (P > 0.05). Total cholesterol and LDL cholesterol were reduced after the exhaustion and 1 h recovery periods when compared with rest periods only in the control carbohydrate intake group (P < 0.05), although this relation failed when the diet was manipulated. These results indicate that acute, high-intensity exercise with low energy expenditure induces changes in the cholesterol profile, and that influences of carbohydrate level corresponding to these modifications fail when carbohydrate (low and high) intake is manipulated.